Dine in one of our two seaside full-service restaurants where gourmet meals are prepared for you with the freshest ingredients direct from the island's certified organic farms or fished from the surrounding ocean waters. Jim’s Bar & Grill is your casual place for beachside breakfast and lunch dining. Fresh baked goods, homemade jams and jellies, blended juices and a variety of salads together with delicious coffee or teas are on offer. A wood-burning pizza oven and a traditional Fijian Lovo are often used to prepare your island style lunches. All meals can be prepared to your personal dietary needs. 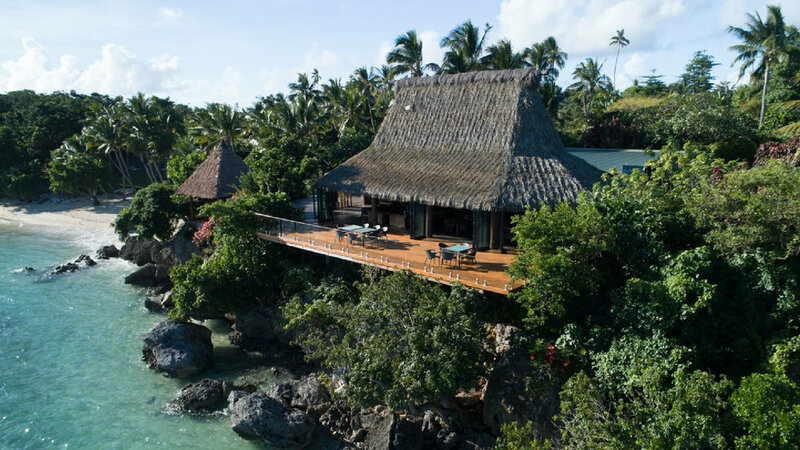 Perched above the lapping waters of the South Pacific sits Valhalla – our evening dining restaurant with full-service bar and outside verandah. Appetizers served alfresco while watching the sunset are a wonderful way to begin your evenings. Our gourmet menus are described as “Pacific Rim” with the freshest seafood, organic meats and garden vegetables and fruits, accompanied with liquors and wines from our formidable wine cellar. Lynda Miller, our hostess, together with her local team are responsible for the variety of organic vegetables and fruits served up daily. 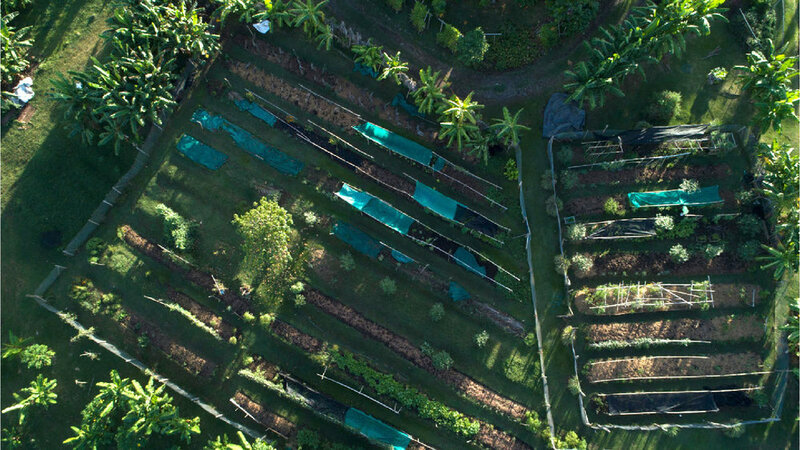 Her extensive gardens are the successful result of the island's commitment to self-sufficiency, energy conservation and organic certification in both the US and Australia. Future projects include virgin coconut oil from the islands many coco palms and ocean salt directly from the surrounding Pacific waters.